Amazon isn't losing $50 on every sale of its new Kindle Fire tablet, but it will be down more than $10 before each new owner boots up a newly purchased Fire and begins buying digital content. 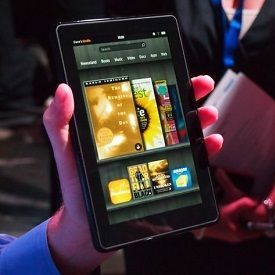 That's because the Kindle Fire, priced at just $199, costs about $210 to produce, according to IHS iSuppli. The research firm said Friday that Amazon's bill of materials cost for the Kindle Fire is $191.65, with additional manufacturing expenses bringing the total cost to produce the tablet up to $209.63. Amazon will make that money back and more with sales of digital content, according to IHS iSuppli analysts, but the margins will be razor thin. The research firm expects the average sale of digital content to each device will deliver a profit of about $10 per Kindle Fire sold. Where Amazon really stands to make the big bucks, IHS iSuppli said, is with the sale of the huge variety of physical goods the online retail giant peddles, which range from books to electronics to shoes to diapers. 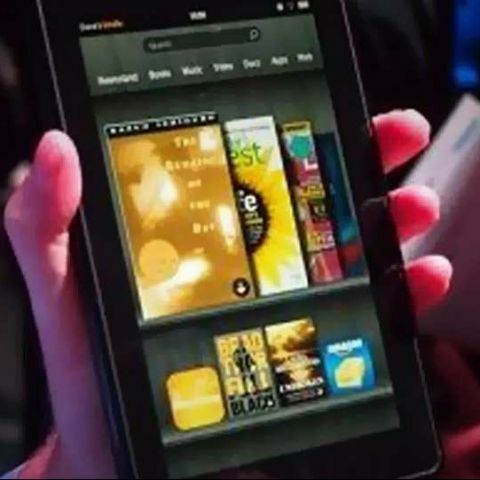 The Kindle Fire, while it will be slightly profitable as a content device, is really valuable to Amazon as a vehicle to drive more such purchases to add to the company's $34 billion in revenue last year. "This business model is unique to Amazon," the research firm said. "No other tablet brand or e-book reader operates such a broad retail service. ... Conversely no other retailer can offer a tablet specifically designed to promote sales of its goods. "The importance of this strategy cannot be underestimated. So far, no retailer has managed to create an umbilical link between digital content and a more conventional retail environment. With Kindle, Amazon has created the most convincing attempt at this yet, and it is doing so by using established retail tactics: deploying content to get shoppers in the door, and then selling them all sorts of other goods." The IHS iSuppli teardown team estimated that the Kindle Fire's touch screen display was its most expensive subsystem of the device, at $87, while the researchers priced the tablet's dual-core applications processor at $15. Below is the IHS iSuppli Research estimate of all hardware costs for the Kindle Fire. Nexus 7 or the Kindle Fire HD? Try the Amazon Kindle Fire HDX.